JustAnnieQPR: Return of the Prince - in support of the Kiyan Prince Foundation! Return of the Prince - in support of the Kiyan Prince Foundation! What QPR fan could forget that fatal day in 2006, when Kiyan Prince, a member of QPR's Centre of Excellence, was stabbed to death outside his school gates. He was 15 years old. 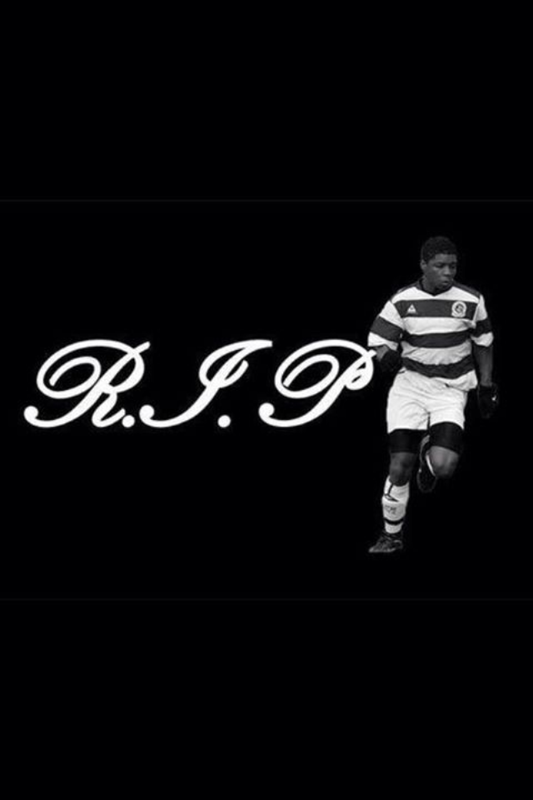 Kiyan was set for a big future in football, but we, his family and friends will never be able to watch his progress. Kiyan's Father, Mark Prince, set up the Kiyan Prince Foundation "to try to halt the volume of gun and knife crime that had plagued the inner cities in the UK. The foundation was designed to increase awareness and address the consequences of gun and knife crime via education and mentoring". On Oct 4th, former WBO/IBF Inter-Continental Champion boxer Mark, is preparing to return to the ring, after a 14yr hiatus, in a bid to raise the profile of his important Foundation. Let's all get behind Mark, I've bought my T-Shirt and have been wearing it with pride. You can purchase tickets here! And visit the shop and order your own merchandise here! It doesn't show the logo on the site but check out the picture of Mark wearing his and see the picture of mine. Go Mark and COYR's........... Let's hope Mark is as successful as our boys have been so far! Disclosure: I have not been paid for this blog and paid for the T-Shirt myself in support of the Kiyan Prince Foundation. Year 5 Swimming (aged 9 and 10) Gogglegate!!!! !